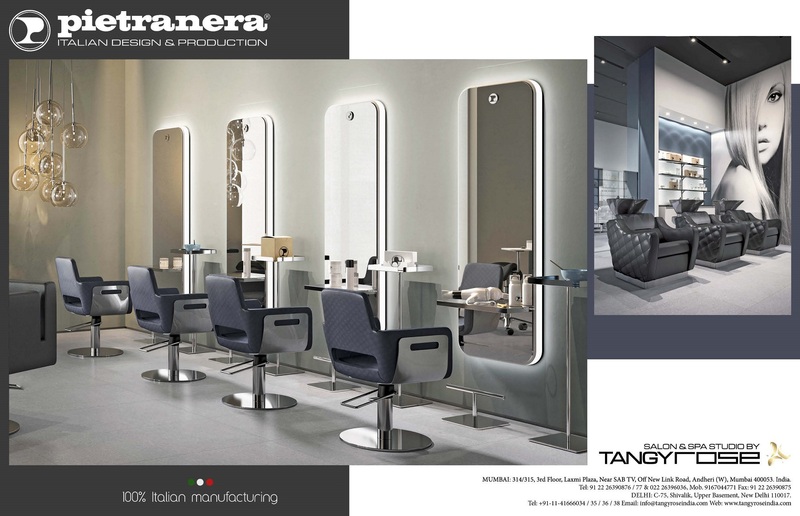 Thanks to our Indian distributor Salon & Spa by Tangy Rose, we are happy to show you this Ad appeared on "Style Speak Salon & Spa Journal", the most important magazine of beauty sector in India. First line the chairs Se-x Optima with the chromed armrests, the styling units Light, Led backlighted with aluminium shelf, and service tables Link. We do also find washunits Wen Prestige, chic and reifned with its the stitchings "capitonné" effect. In the scene the backlighted Expo-Light, functional and trendy, and the Divisor cloth with printed and customizable picture.